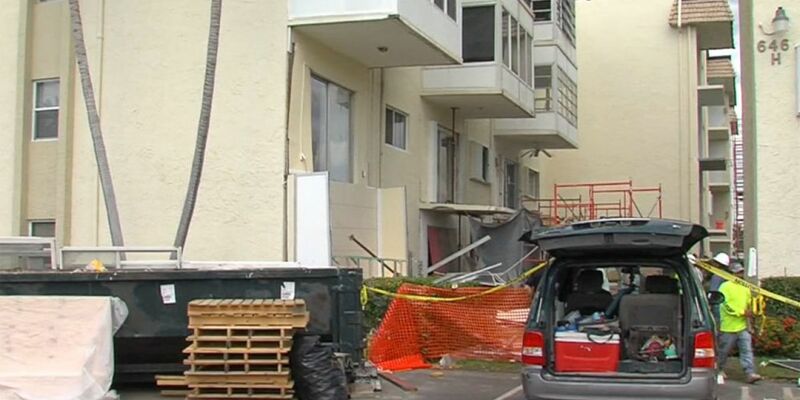 BOYNTON BEACH, Fla. -- A worker was injured in Boynton Beach on Wednesday when a balcony he was repairing collapsed. Boynton Beach Fire Rescue says the victim, a man approximately 30 years old, was repairing a cement balcony on the second floor in the Snug Harbor community when the balcony collapsed. He fell approximately 10 feet to the ground and was walking around the scene when Fire Rescue crews arrived. He was transported under a Trauma Alert to Delray Medical Center for an injury to his face.